Hello my beautiful crafty friends! Today I share with you a twisted double easel card I created for DDCC Challenge #188 - Ribbons&Lace. You have few more days to join our challenge, so don't miss your chance! We have fabulous sponsor this week - Di's Digi Downloads with 5 digis for lucky winner!! 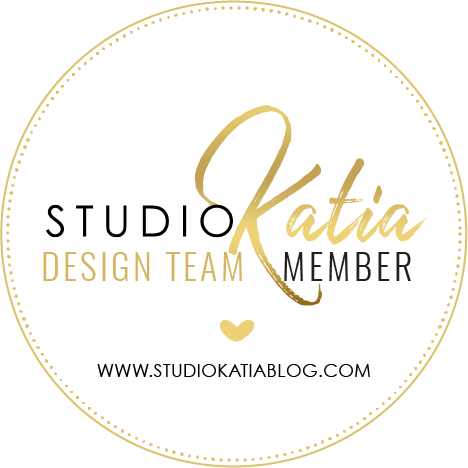 Don't miss lots of inspiration from other DT Ladies, they created beautiful projects for you!! Сьогодні хочу поділитися з вами ось такою листівкою. Дуже люблю незвичайні листівки, то ж хотілося спробувати зробити подвійний діагональний мольберт. Зробила я її для натхнення тих, хто долучиться до участі в завданні блогу DDCC - Стрічки та мереживо. Спонсором цього завдання є магазин Di's Digi Downloads з 5 зображеннями для щасливого переможця! То ж якщо ви любите використовувати в своїх роботах стрічки та мереживо, долучайтеся до завдання! 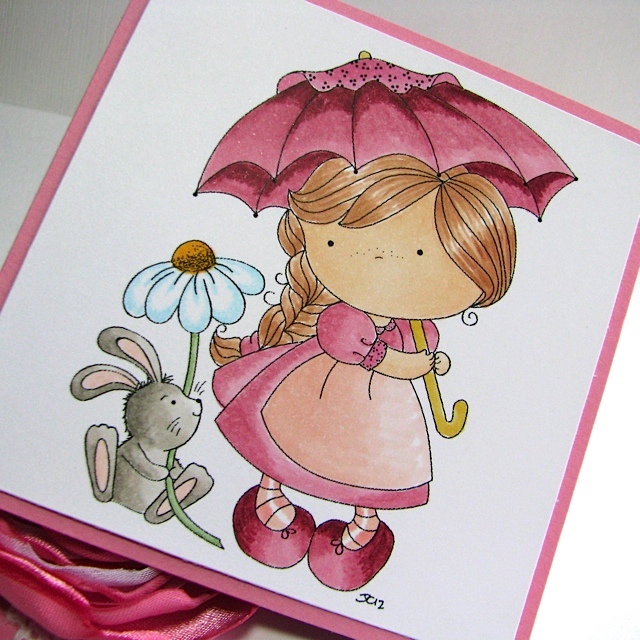 For my card I used Izzy with Umbrella I purchased some time ago. I coloured the image with copic markers. I used lace: punched with Martha Stewart Around-the-Page punch and taped lace; ribbon I used not only on the base of the card, I also made a top of umbrella using crinkled ribbon. Umbrella template is from The Cutting Cafe. I also added a handmade flower made by my friend Leia. 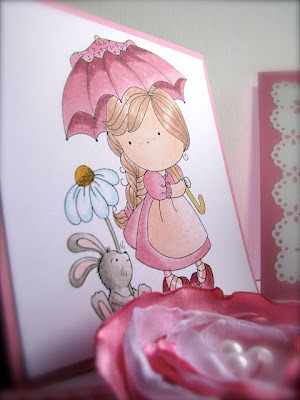 Для цієї листівки я використала зображення Izzy with Umbrella, яке купила ще давніше, а зараз нарешті випала нагода його використати. Розмалювала його копіками. Дуже люблю ці рожеві кольори. Мереживо я використала на клейкій стрічці, а також зробила трохи мереживних рамок за допомогою дірокола від Марти Стюарт. Стрічку взяла рожеву картату, а також зім'яту, за допомогою якої зробила ось таку парасольку. Шаблон парасольки від магазину The Cutting Cafe. Ну, і додала ще квіточку від Лія. Have a nice day!! Thank you for stopping by! Гарної вам погоди та сонячного настрою! Дуже гарна листівочка, чудова незвична форма! 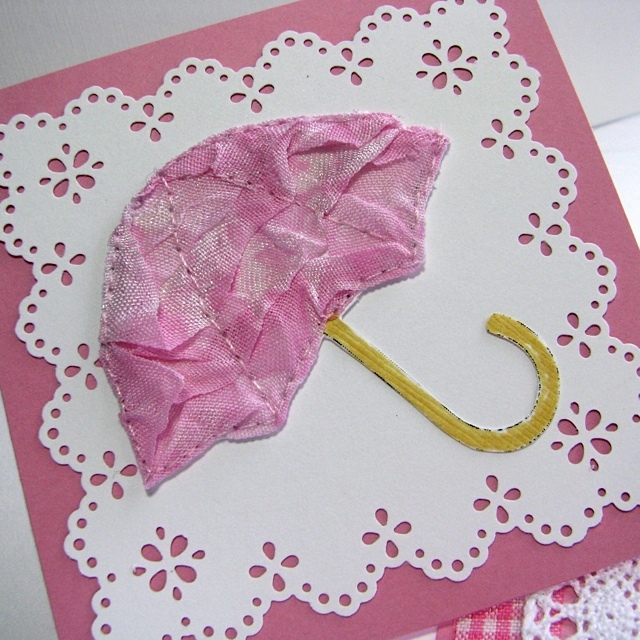 Very nice card, Thank you for playing along with us this week at Brown Sugar in the "Anything Goes" challenge! We hope you decide to play along with us again!! Good luck! Вау, яка краса!!! Парасолька - бомба!!! Thanks for you're kind words,.Lilia. Your card is too cute, I didn't think to use a punch for the lace, good thinking. Your image is beautifully colored, what pinks did you use? Wow, very pretty card. 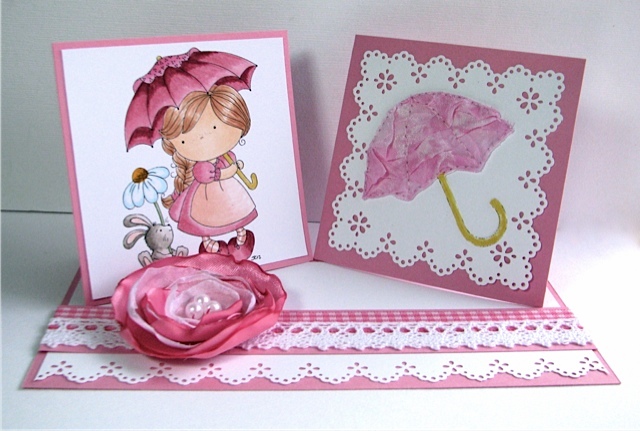 Love you hand made umbrella and the pretty pinks look awesome. Thanks for playing along with us at Creative Card Crew. Дуже красиво і дуже ніжно! КЛАС!!! Absolutely beautiful card - great fold! I love your ribbon umbrella! Very clever! What a beautiful flower from your friend, it works so well with your colors! Such a creative idea for your umbrella too. Thank-you for sharing with us at The Poodles Parlour! Ha Ha, I commented just as an admirer ,little did I know you got me as a commenter too. I still think your card is adorable. so thanks for joining us at Card Makin' Mamas. Sorry it has taken so long to leave a comment.